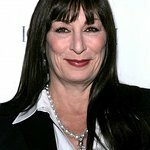 In 2012, Anjelica Huston's volunteer work accomplished a goal first set in 2008, when Huston filmed PETA's hard-hitting video exposé of how great apes suffer in the entertainment industry: All of the top 10 advertising agencies in the U.S. have now adopted policies stating that they will not use chimpanzees and other great apes in their commercials. And to honor Huston for her work defending animals—which this year also included speaking out against the deadly fur trade and New York’s cruel horse-drawn carriage industry—PETA has named her its 2012 Person of the Year. 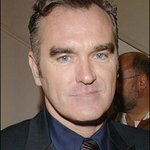 “Having worked with actors for many years, I find it hard to believe that anyone would have to be dragged, kicking and screaming, into show business. But the next time that you see a chimpanzee in a movie, on TV, or in an ad, chances are, that’s exactly what happened,” Huston says in her exclusive PETA video. The actor sent her video to agency chiefs across the country, showing them exactly how great apes are torn away from their mothers shortly after birth and frequently beaten during training to perform in ads for companies such as Dodge, Europcar, Pfizer, Samsung, and Travelers Insurance, all of which pulled their ads after talks with PETA. Previous PETA Persons of the Year include outspoken vegans Bill Clinton, Ellen DeGeneres, and Russell Simmons. For more information, please visit PETA.org.